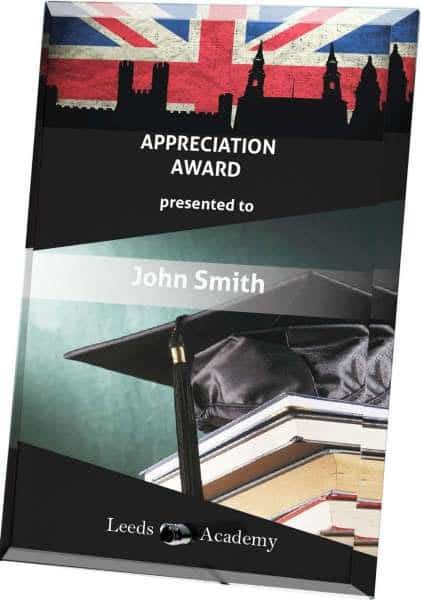 Not all awards fade into the background. 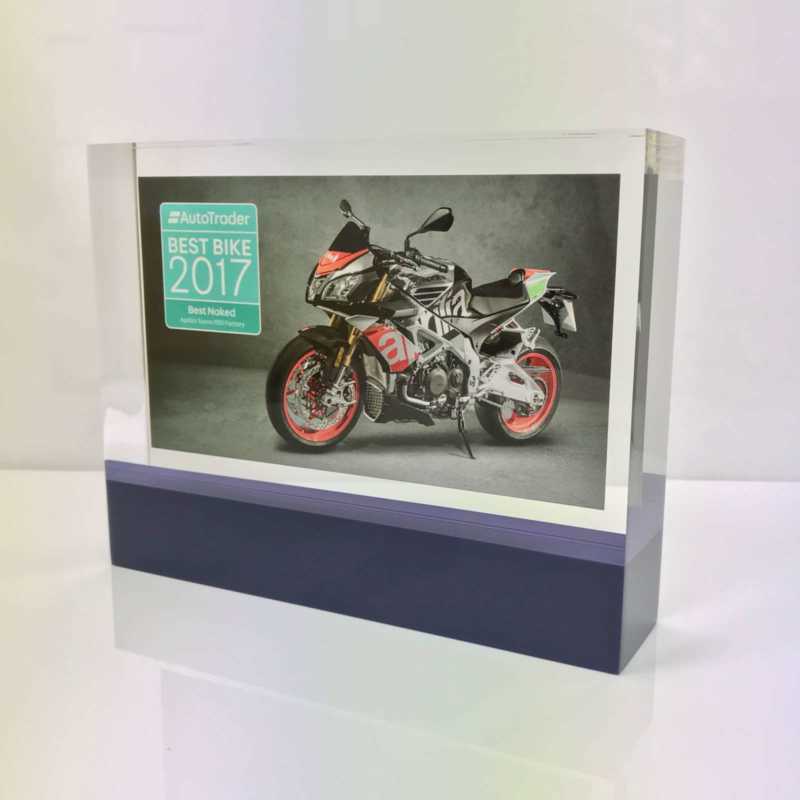 Indeed, if you are looking for something that leaps out and demands to be noticed, our colour printed awards do the trick. 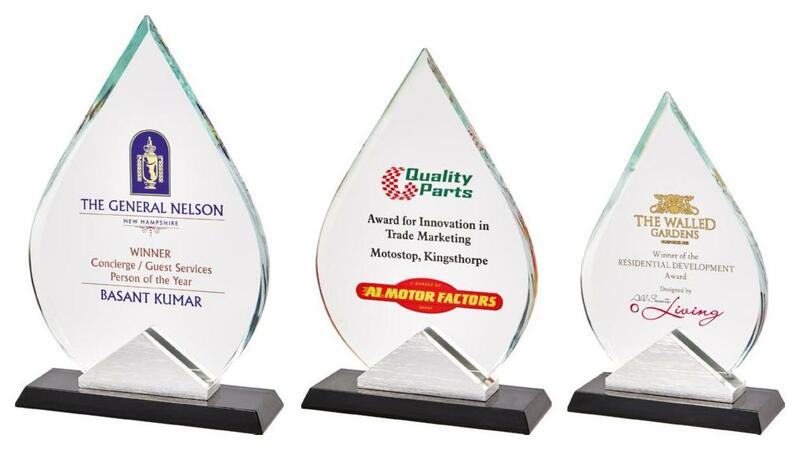 These awards are made of the highest-quality materials. 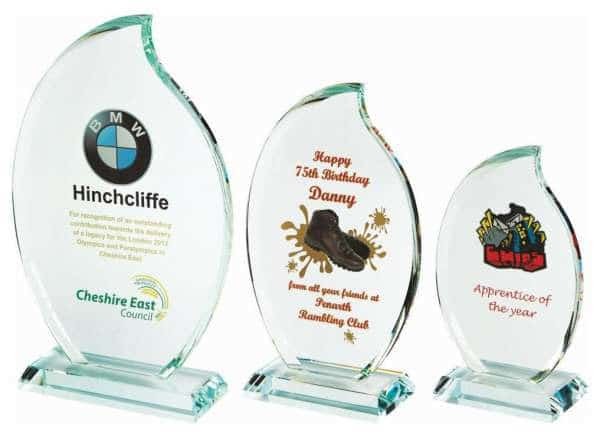 With crystal, glass and wood-effect finishes available, you have an opportunity to consider the exact look you require. 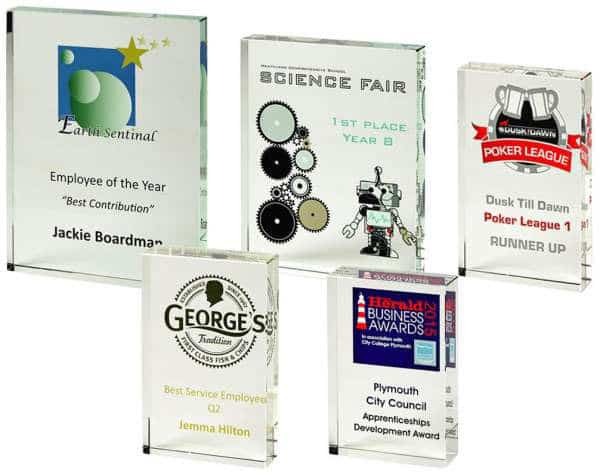 All our printed awards are designed with presentation in mind. 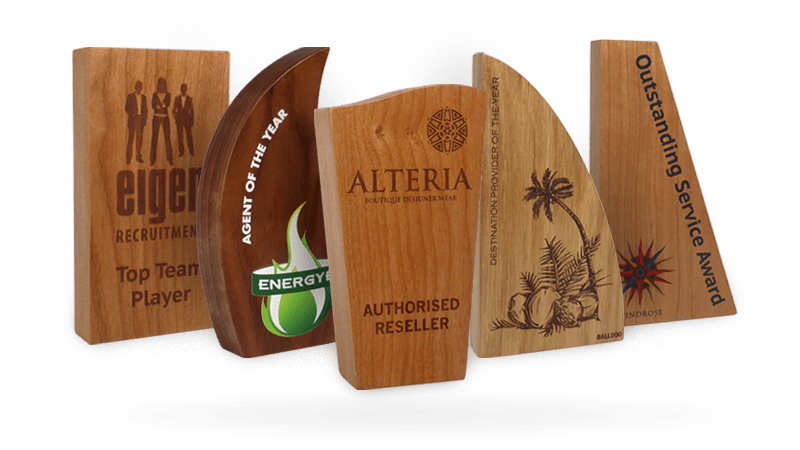 Whoever receives your bespoke awards, they are sure to appreciate the impressive nature and appearance they give. 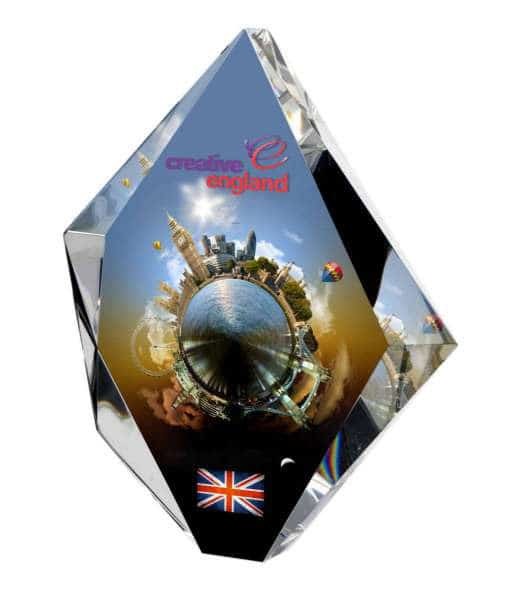 Our colour awards ensure every detail of your company logo stands out in the best possible way. 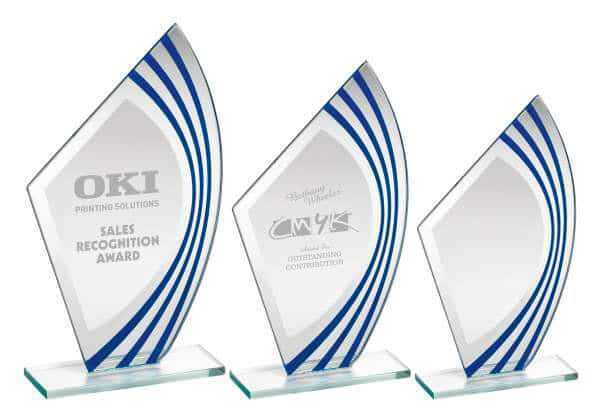 There is no need to have your logo in just one or two shades of grey when you can have full colour on every award you give. 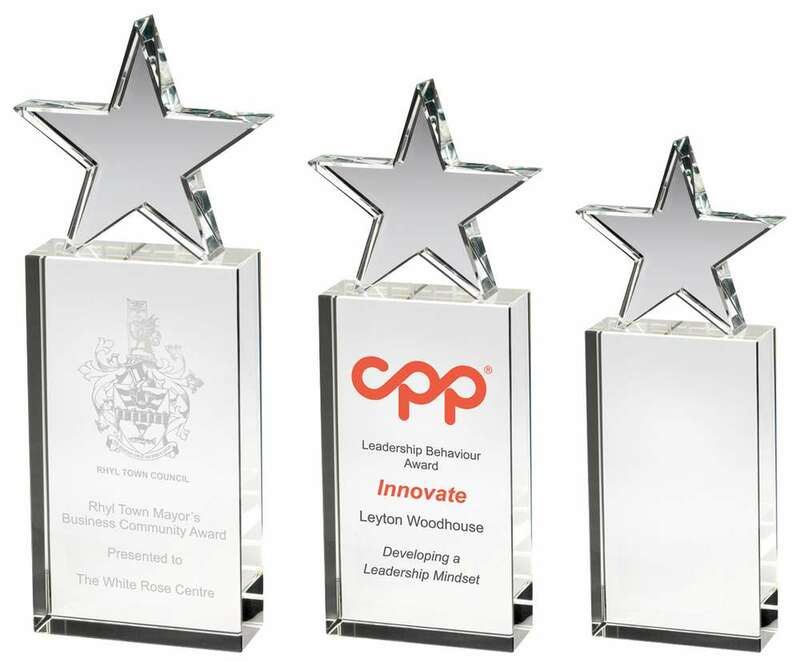 Your corporate awards ceremony will be all the more impressive when the recipients each take home one of these remarkable awards. 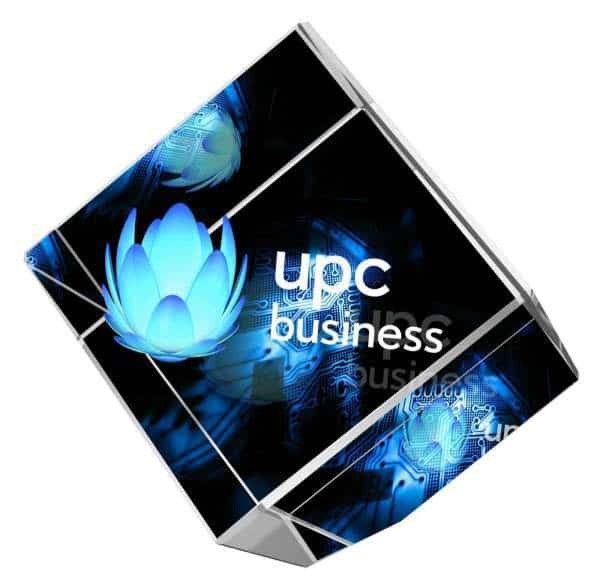 They are available in a variety of sizes and shapes. 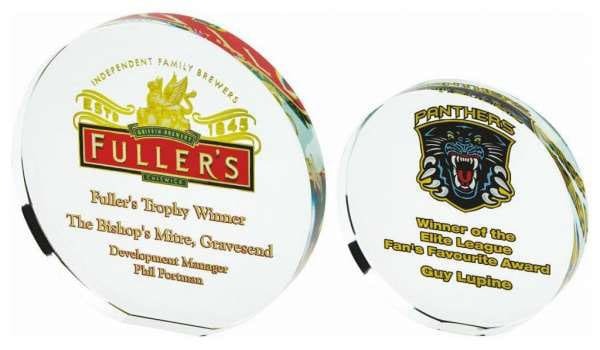 The process of choosing the finish is easy. 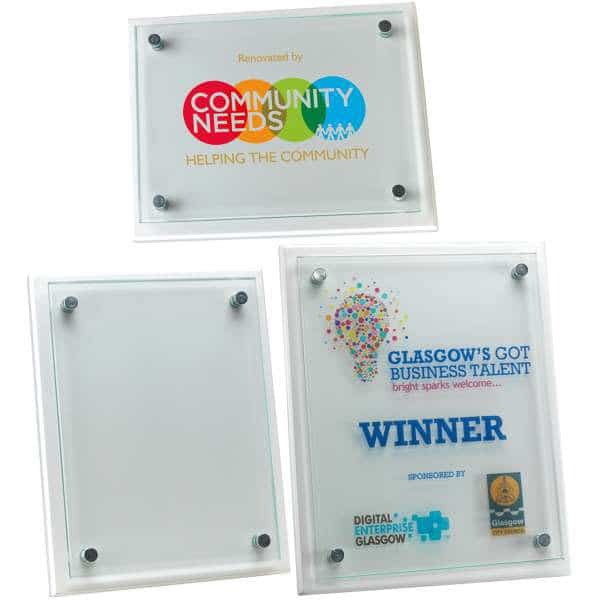 Simply upload your choice of logo and text when you choose your award. 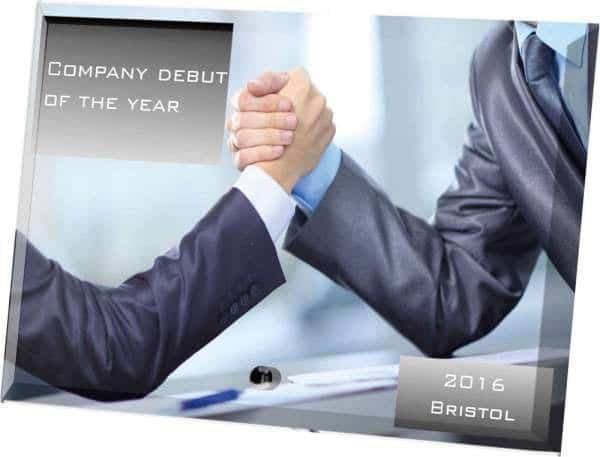 You may do this for every single one you order. 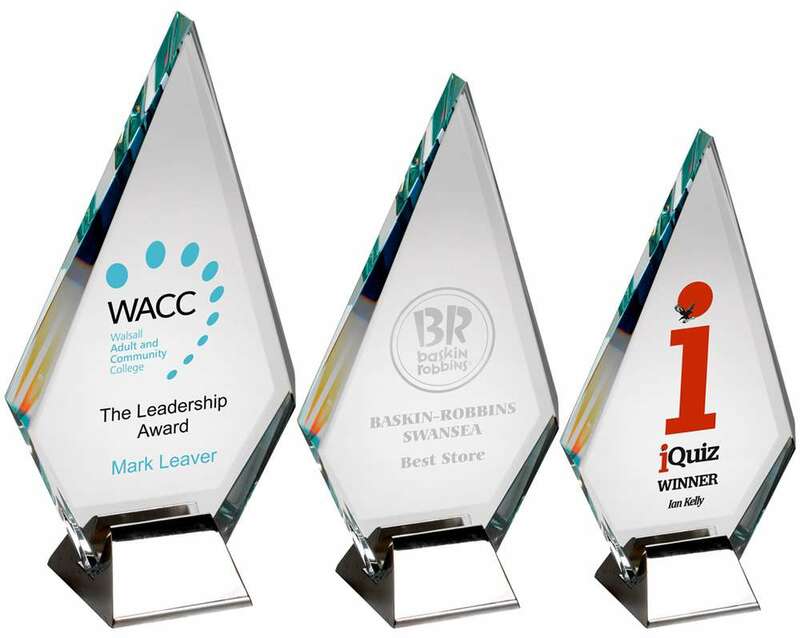 There are many occasions where our colour and printed awards will provide the ideal solution. 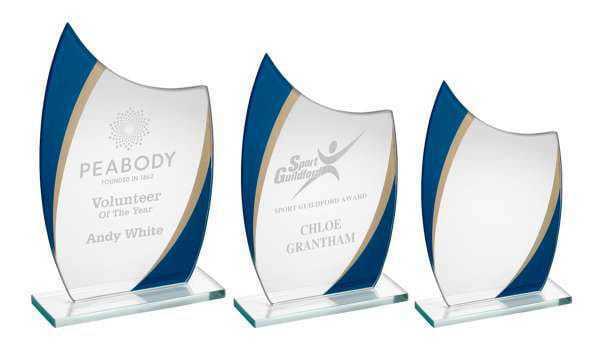 Present your hardest workers with finely-detailed crystal block awards. 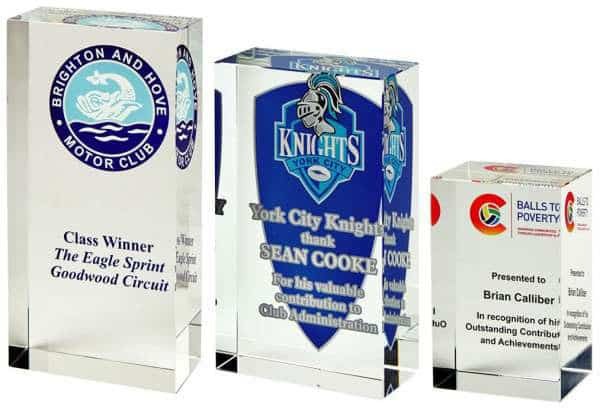 Reward a winning team with a glass plaque. 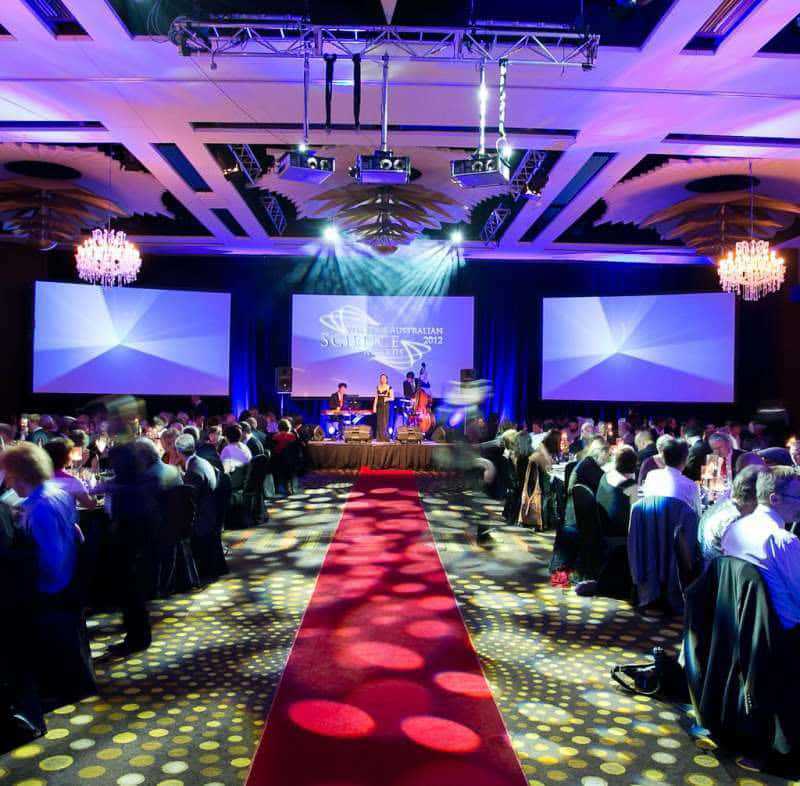 Whatever the occasion and whatever the specific award you wish to give away, you are certain to find the most appropriate solution in our series of colour awards. 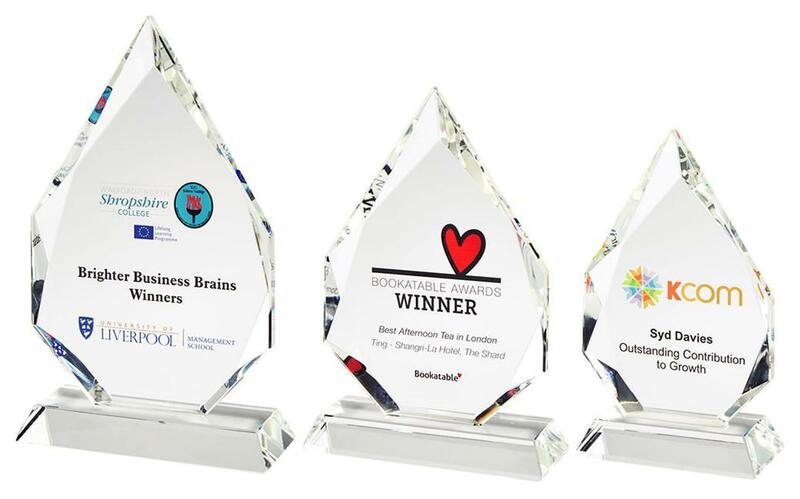 Recognising hard work and achievement is important in any business. 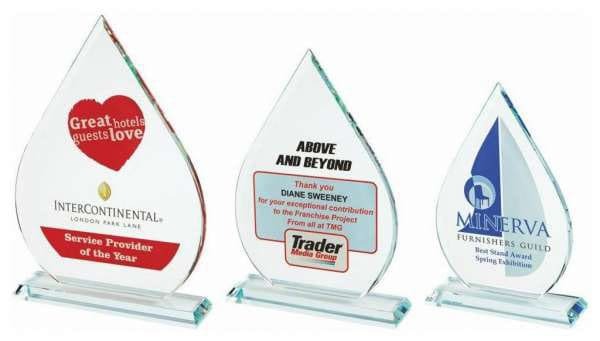 If you want to be sure your message does indeed get across to the lucky recipients, you should consider investing in one or more of our corporate awards today. 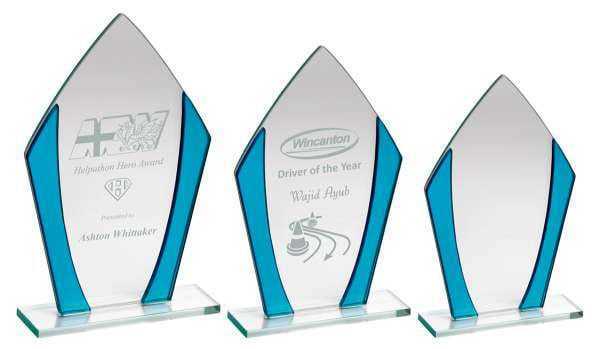 Eye-catching colour awards and trophies will fit the bill regardless of the reason for giving them away.